Beat This Caption Contest 150 Winner – Caption Contest Funny Clever Witty Enter Today! 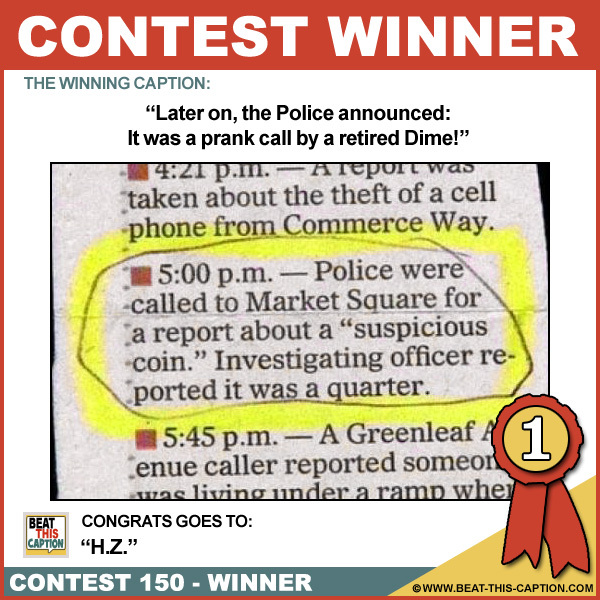 Later on, the Police announced: It was a prank call by a retired Dime! Great Caption! FDR is still up to no good! :) You WIN! I wanna party with the person who reported the “suspicious coin”! On the cent of a crime! The officer confiscated the quarter for his piggy bank! Strange, it shows the Eagle has landed! Change isn’t welcome in Market Square!